Application ATTIC VASES / PRECIOUS EARTH, concerns the history of Attic vases, their individuality, their construction, their decoration, their colours (black and red), the origin of the clay used for their decoration in antiquity and today, firing techniques, their uses, their dominance in foreign markets and the ceramists who created them. RE3CAP is a collaborative project between THETIS authentics Ltd, The National Centre for Scientific Research “DEMOKRITOS” and TOOL Ltd partly funded by the National Strategic Reference Framework 2007–2013. 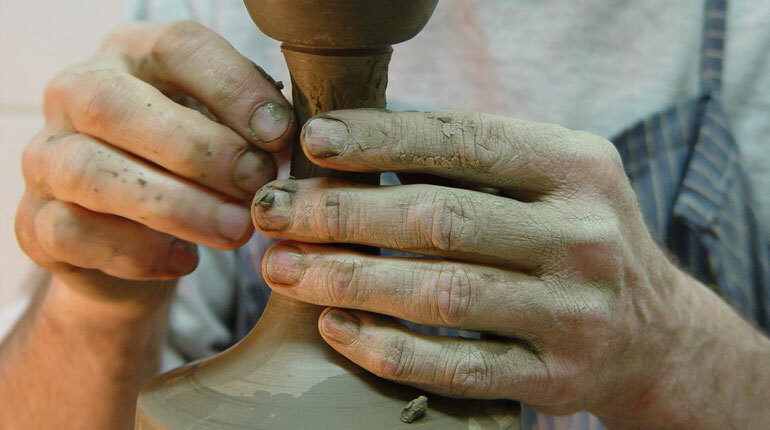 Design and development of a service enabling the low cost technologically authentic, museum quality, reproduction of classical Attic pottery through the use of innovative techniques. 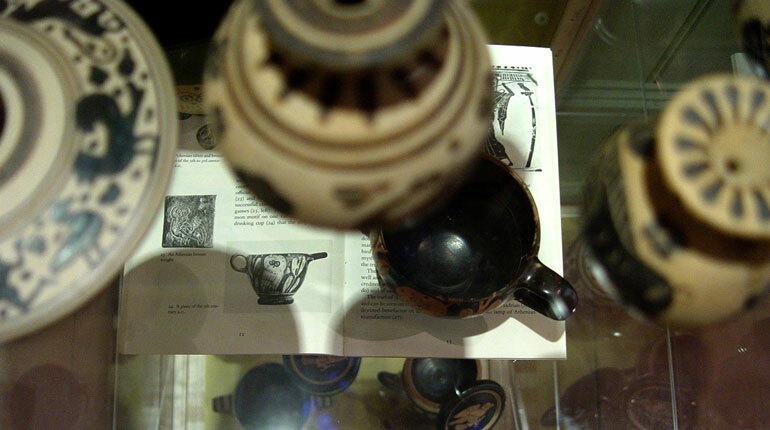 Design and development of a service to present and highlight the technology of classical Attic ceramics aimed initially at visitors of the Kerameikos Archaeological Museum and subsequently at several other major public and private museums in Greece. 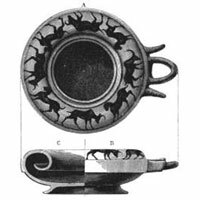 Contrary to a widely held , but misleading, belief the clay for the colloidal suspension used for the black and red figure decoration of a pot differs from the clay used for the pot's body. In fact the "clay-paint" must display specific physico-chemical features, both in terms of its chemical composition and of its propensity to form a spontaneous colloidal suspension. 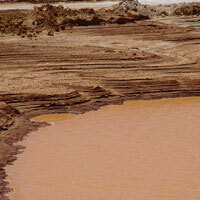 A systematic survey of clay sources in Attica identified a number of clay sources that display these features. Using trace element analysis, modern reproductions using these clay sources where then compared with ancient samples in an attempt to narrow down the location of probable ancient clay-paint sources. We expect that by such a systematic comparison between well documented modern and ancient decorated pots it will be possible to answer several open archaeological questions. Many conservation laboratories in Europe and other cultural entities from the private sector provide high resolution 3D laser scanning services to the heritage sector, including 3D laser scanning, contact free replication of artifacts, post-processing of 3D data, 3D CAD design, 3D virtual reconstruction. Scanning can be carried out either in the secure environment of a conservation laboratory of a Museum or on-site in almost any location if the object cannot be moved. All 3D data collected during the recording of an artwork can result to valuable information and side-products to be used by the art historian, the conservator, the museologist, the museum manager and finally the shop. The dimensions of a pot on display in a museum differ from those of the same pot when it came off the potters wheel. During drying , following the throwing of the pot on the wheel, the pot's dimensions shrink, typically by ~ 10%. Another 2-3% shrinkage occurs during firing. It is therefore essential to take this shrinkage into account when reproducing a museum exhibit. Following a 3D scan of the museum exhibit all dimensions are blown up by ~13%. This 3D model is then 3D printed and provides the shape that the modern potter throws on the wheel. 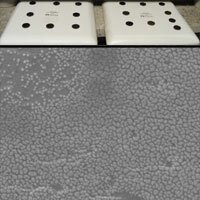 In this way the end result, after drying and firing, conforms to the dimensions of the museum exhibit. This process saves considerable time and labour and ultimately reduces the cost of the reproduction. 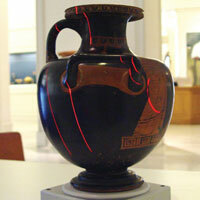 The black and red decoration of ancient Attic vases emerges in pristine condition following over 25 centuries of burial. This remarkable resistance of the surface decoration to environmental stresses , superior to that of ancient glass, attracted the interest of craftsmen, chemists and materials scientists ever since the Attic vases reached western Europe in the 18th century. As a result of our research on ancient techniques, their recovery and their revival this riddle was finally solved. The answer lies in the formation of an aluminosillicate glass coloured by black nanoparticles with dimensions of a fraction of millionth of a meter.